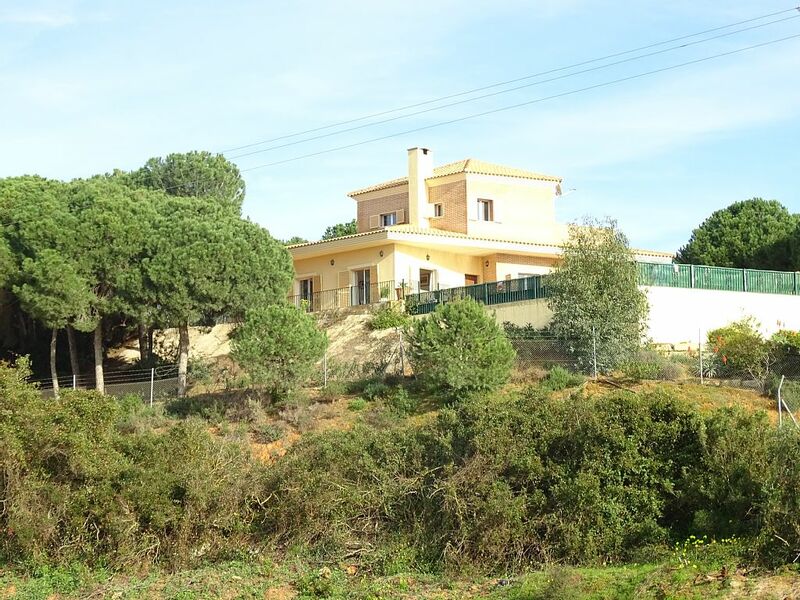 Unique and spacious detached villa situated in a secure gated garden amongst pine trees and fruit fields. 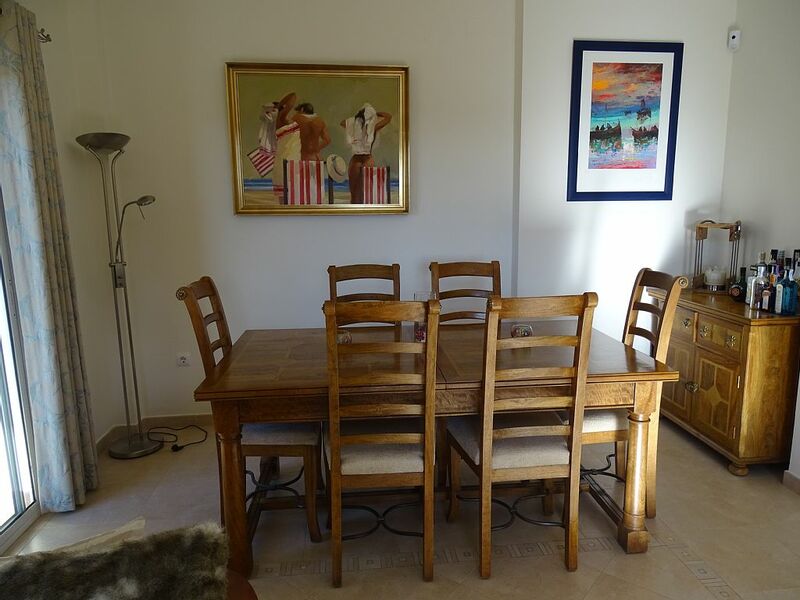 Close to the small Spanish town of La Redondela, this villa offers peace & tranquillity without isolation. 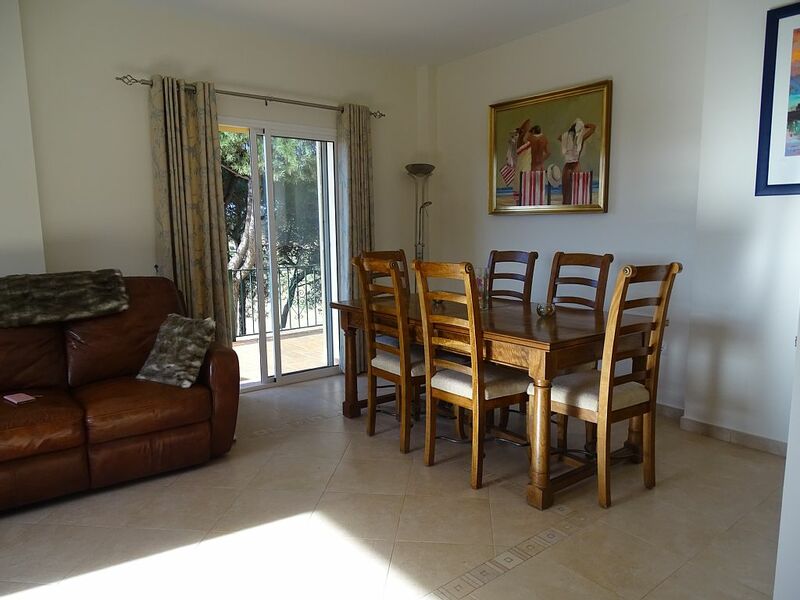 There is a large lounge with patio doors leading to terraces with surround three sides of the villa. 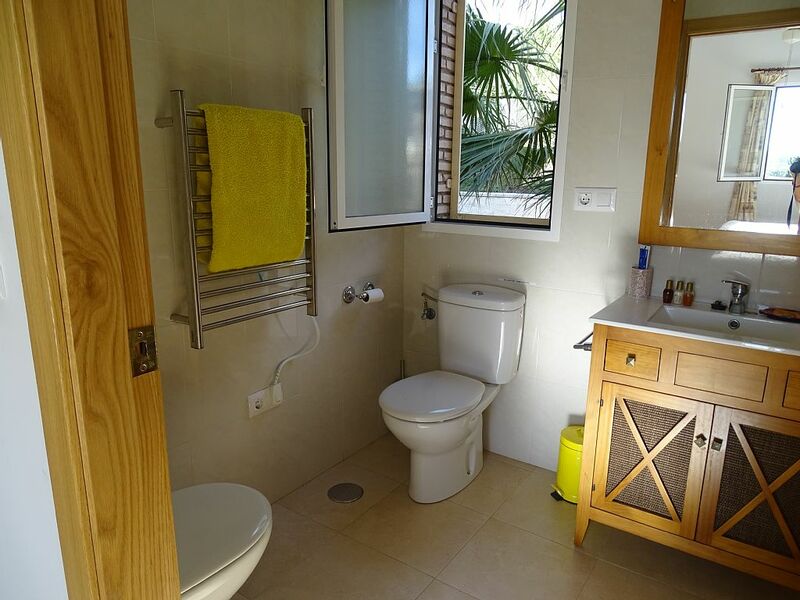 The villa has a large kitchen and utility room, three double bedrooms, two ensuite and one family bathroom, air conditioning and heating to each room, wifi/broadband access. 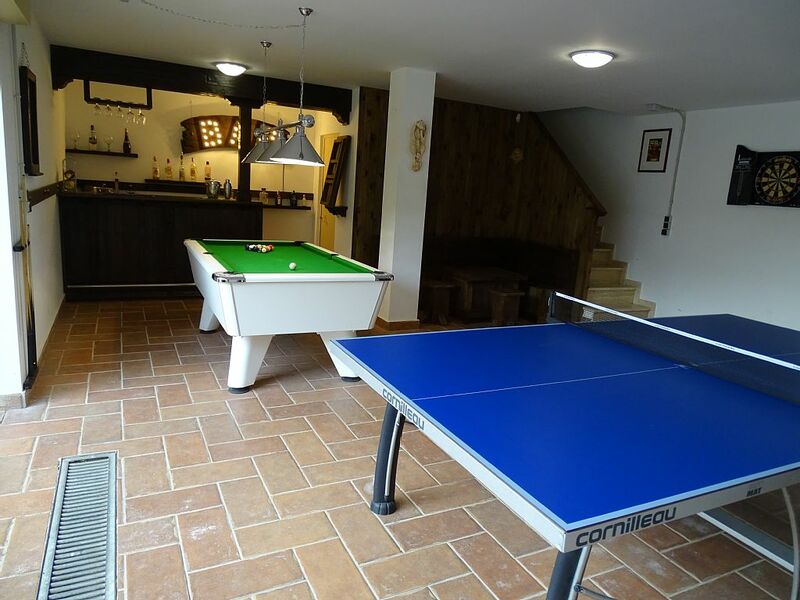 Outside is f...enced and has electric gates and a large spacious garage/games room, which includes a table tennis table, full sized pool table, dart board and a bar. 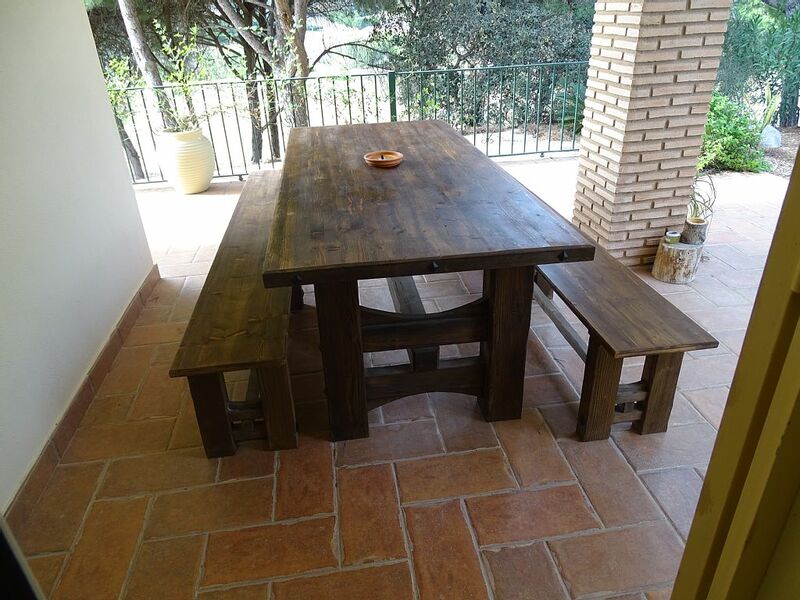 Various patios/terraces give shade or sun throughout the day and good views of garden area and large pool and hot-tub. 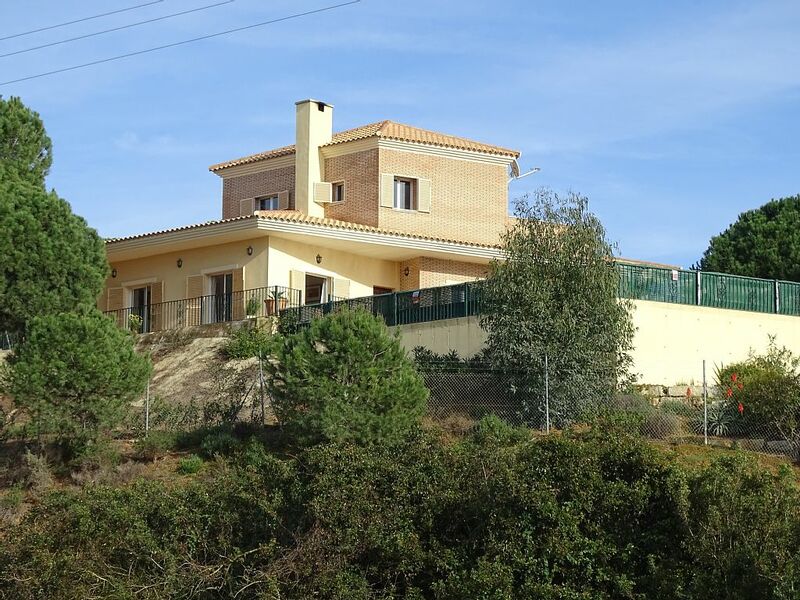 We are a family of 6 and stayed at the villa as the last leg of a trip to Portugal and Spain. 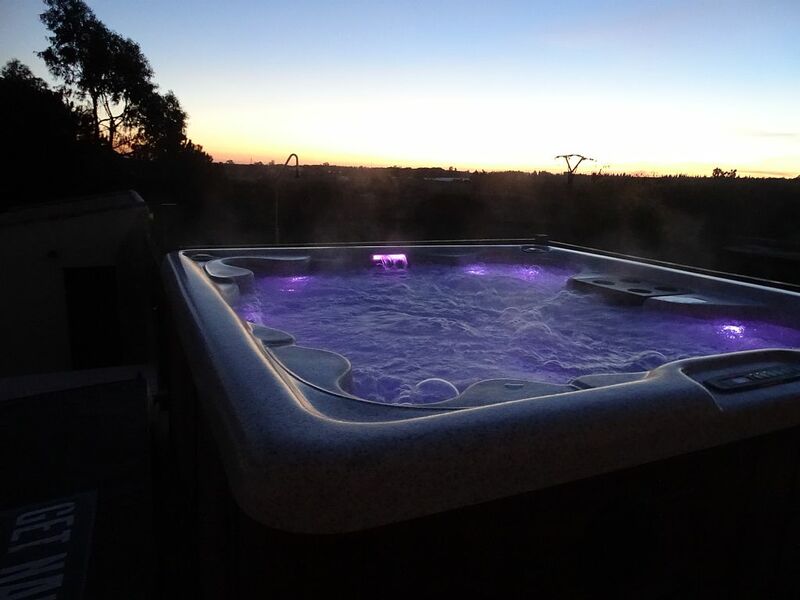 The villa is a great place to relax, the pool area is lovely and the hot tub proved a big hit to watch the sunsets. 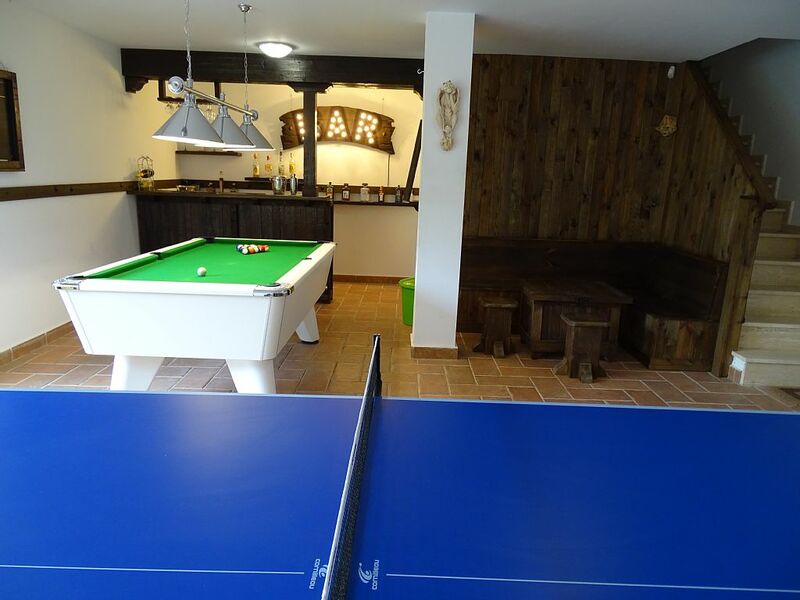 The villa is very well equipped and the games area meant the kids were never bored. We had never been to the area so enjoyed exploring and the kids liked the beach at La Antilla , we also visited Seville which is an easy drive (c75 minutes). 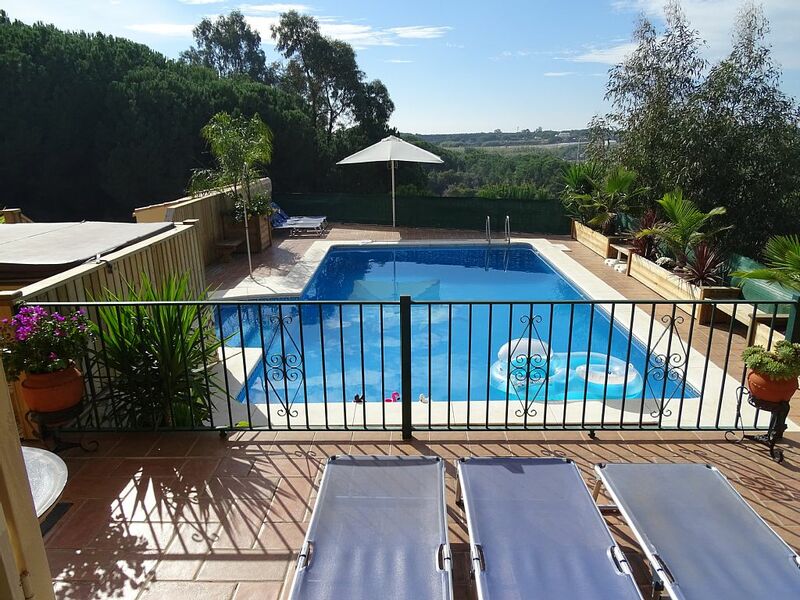 The access road needs some careful driving but its well worth the effort and we would recommend the villa if you want a lovely base to explore the area or just chill by the pool. 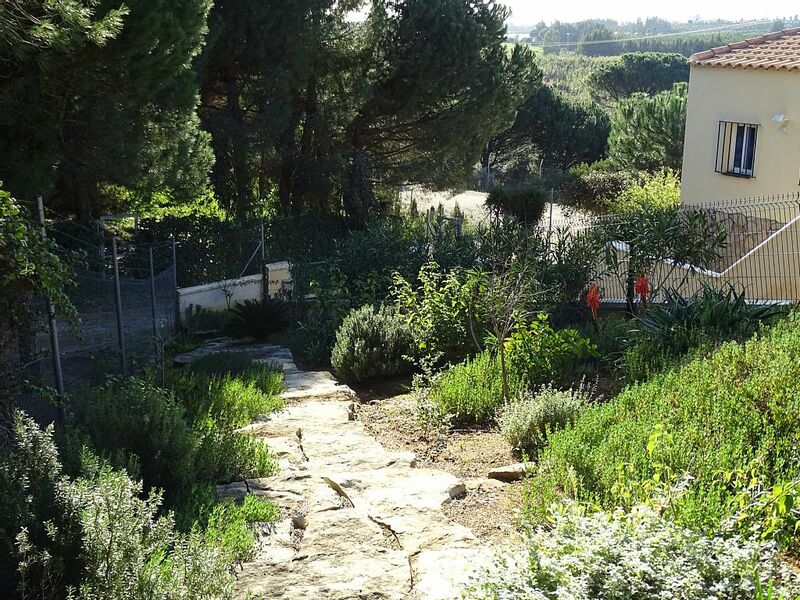 Villa Rosa Blanca was just perfect for our family holiday, it is clean, modern and very well maintained, with all mod cons and comforts of home and more - thank you for the welcome pack, that was very much unexpected and appreciated. 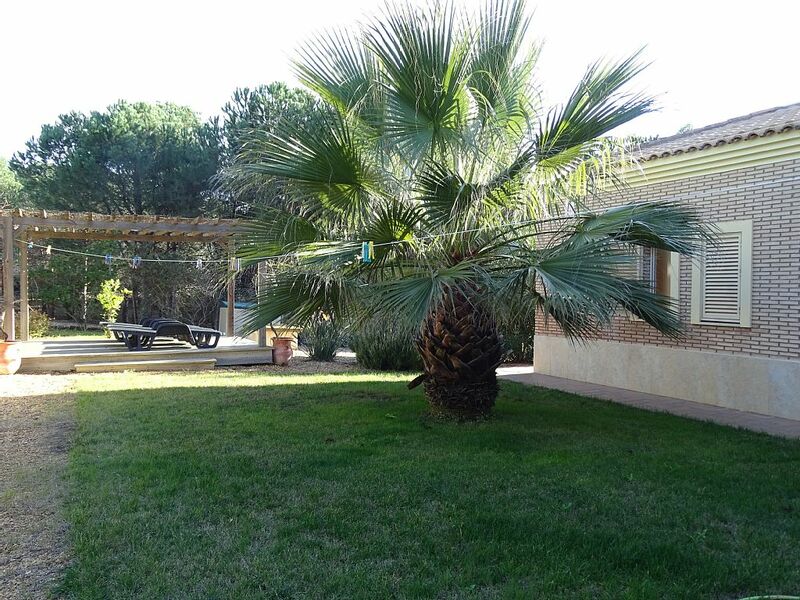 If you are looking for a holiday away from the normal hustle & bustle of the Spanish Costa's, but are happy to drive 10/15 minutes to nice beaches and restaurants, this could be the place for you. 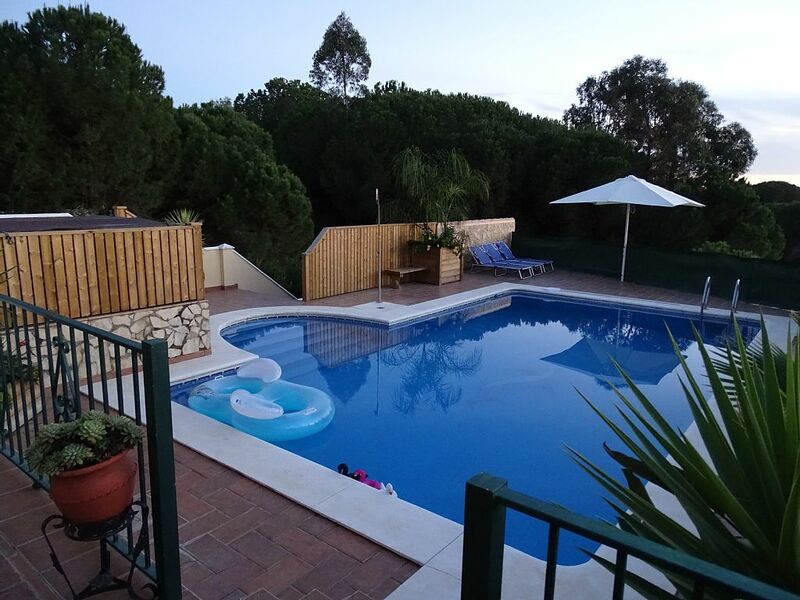 The pool and surrounding areas are fantastic, as is the games room and bar, The selection of board games and DVDs in the villa was an unexpected bonus. Ken & Fiona were easy to deal with and provided good information and support to any questions we had - thanks. We visited Seville and other beach towns locally, we also went into Portugal and visited Vilamoura and Portimao, locally we really liked Isla Canella marina area. 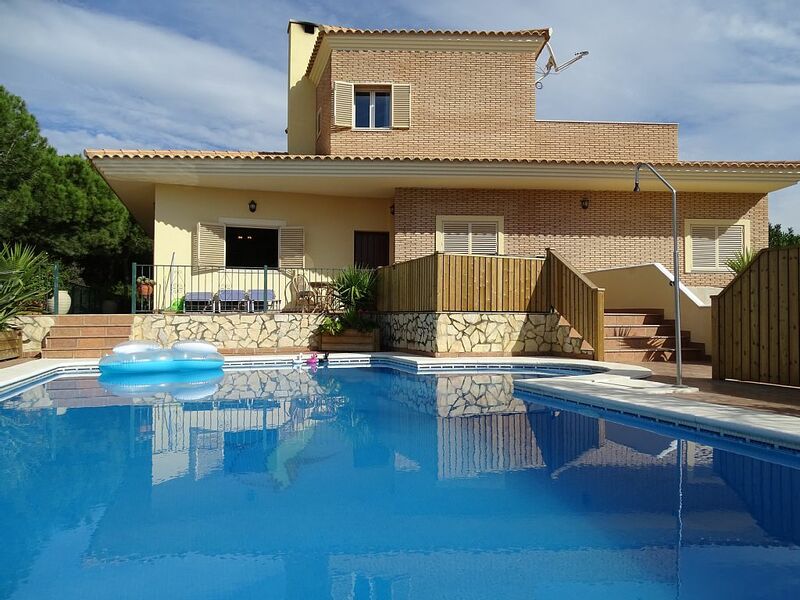 I would definitely recommend this property to friends and family looking for an away from it all type of holiday, we are already talking about booking the villa again! 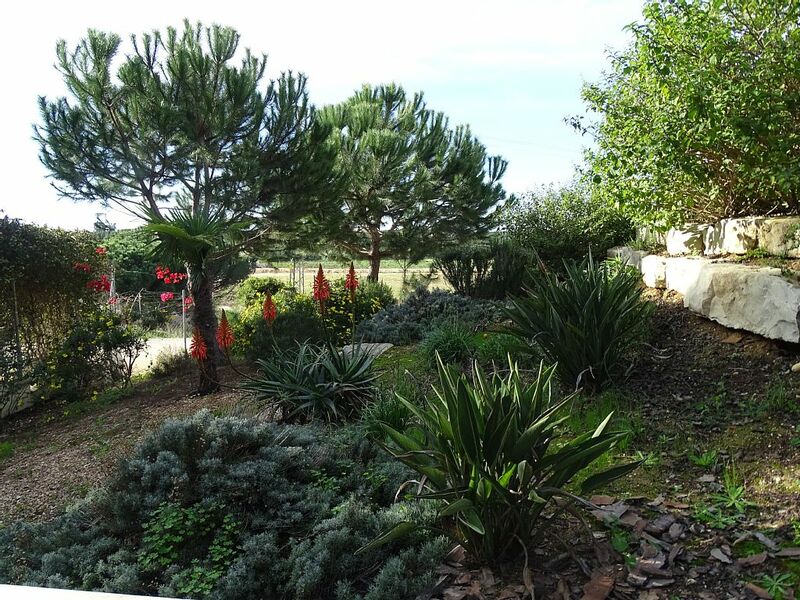 The well appointed villa is located in a peaceful and tranquil location surrounded by farmlands. Although the last part of the journey is up an unmade dusty road the directions given by the owners are easy to follow and even recognised by sat nav. 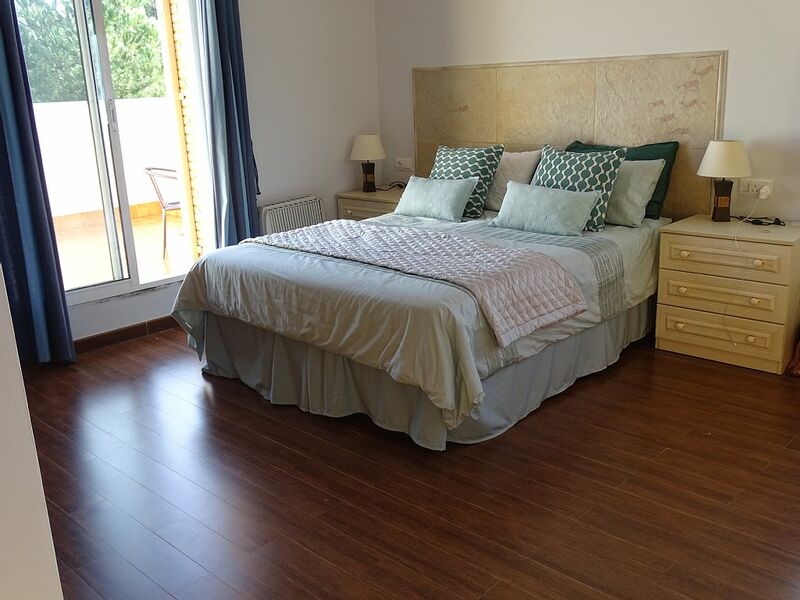 One of the charms for us was the fact that is is "a bit out of the way" with only a couple of other villas as neighbours but all within large private grounds guaranteeing privacy and tranquility. If you like hustle and bustle and restaurants and bars then this is not for you as the nearest bars are about a 10 to 15 minute drive. 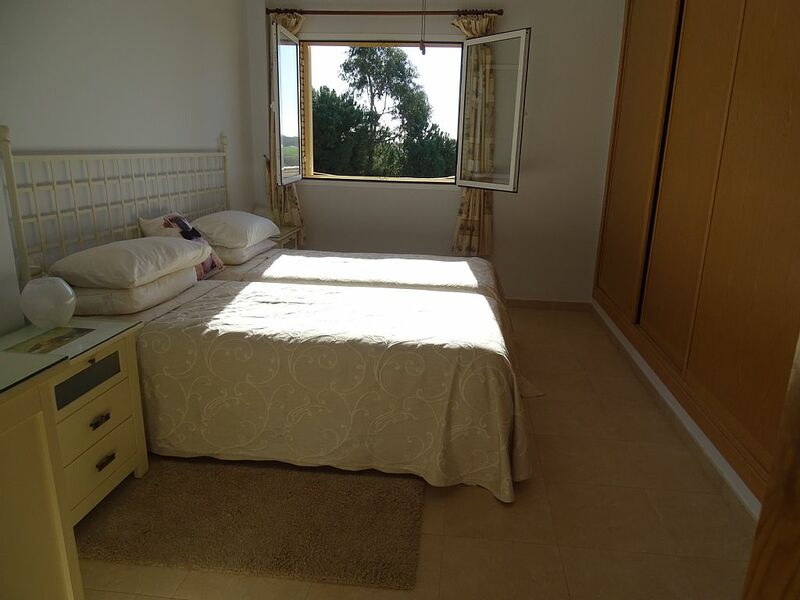 But if you are looking for a relaxing peaceful holiday as we were then this villa is ideal. One of the many things we loved about the villa is that it is located on a high point of land overlooking farmlands and orange groves. From the beautifully appointed swimming pool deck and front terrace gives the impression of being in a castle overlooking the land. In fact from the private balcony terrace off of the main bedroom you really do feel like being up in a tower! 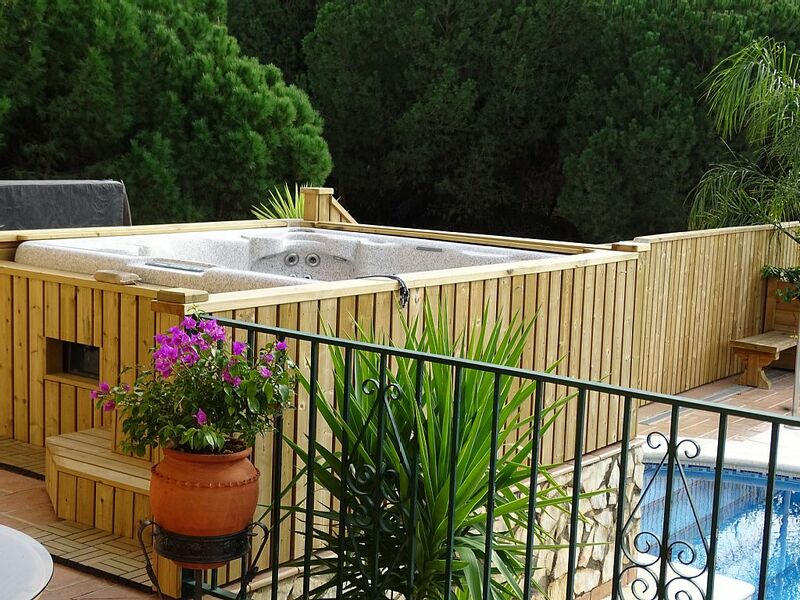 The pool and hot tub are first class and well provided with sun loungers and large parasol for shade. We had intended doing a bit more touring around a a few more days at the beach at Redondela ( 15 mins drive). But instead we found ourselves lounging by the pool all day and enjoying the view and the tranquility. Several times a day flocks of storks swoop over the property and the nearby fields playing in the thermals and we were also treated to the distant tinkling of goat bells from the nearby farm as the farmer moved his herd in the morning and evening. 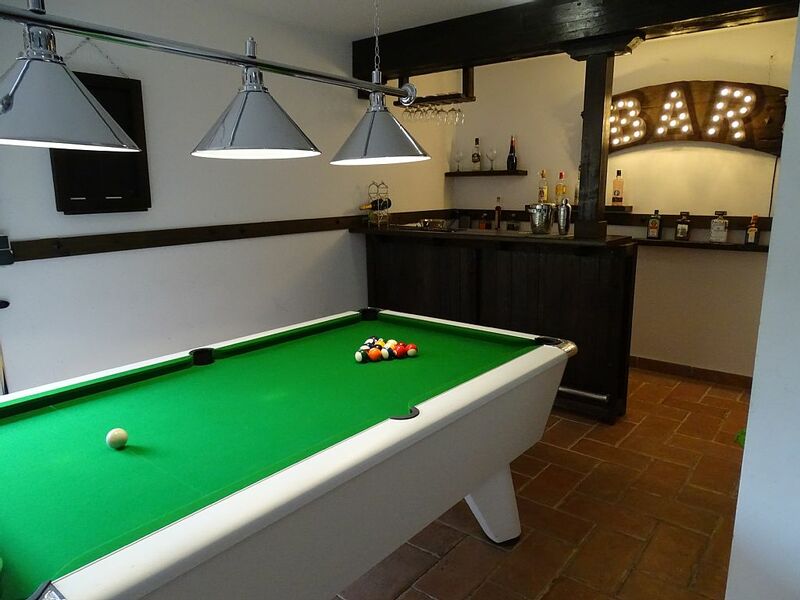 My wife and I were accompanied by our "kiddult" son and a couple of friends for part of the time and as well as the pool they thoroughly enjoyed the "Man-Cave" garage equipped with pool table, dart board, table tennis and bar area! A great place to get out of the sun for a few hours. 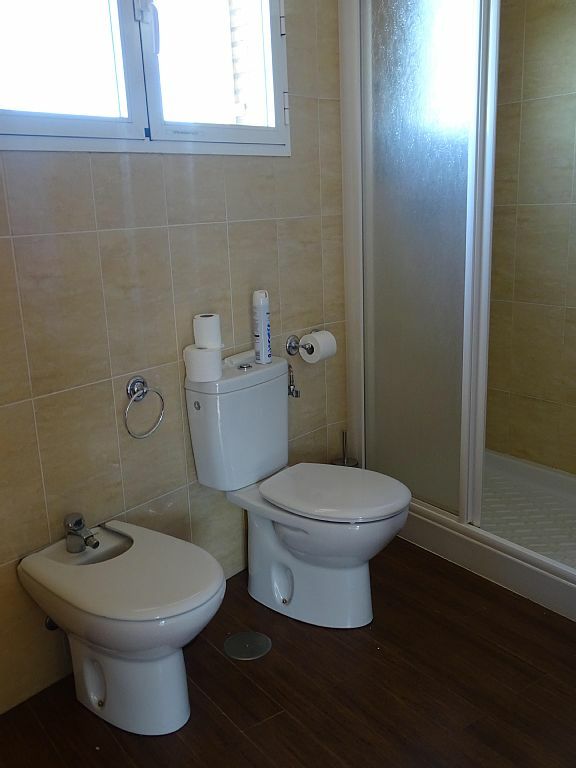 Great accommodation with quality fixtures, fittings and facilities throughout. 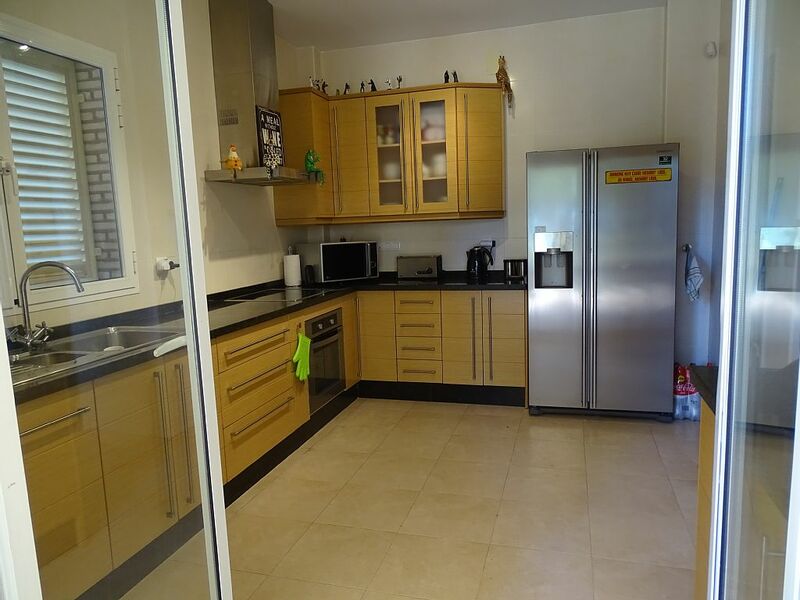 Amply stocked fridge(s) and quality sports equipment including bikes, table tennis, pool, and darts for any less sunny days. Highly recommended but own transport essential to make the most of local towns, restaurants, and beaches - which there are many. 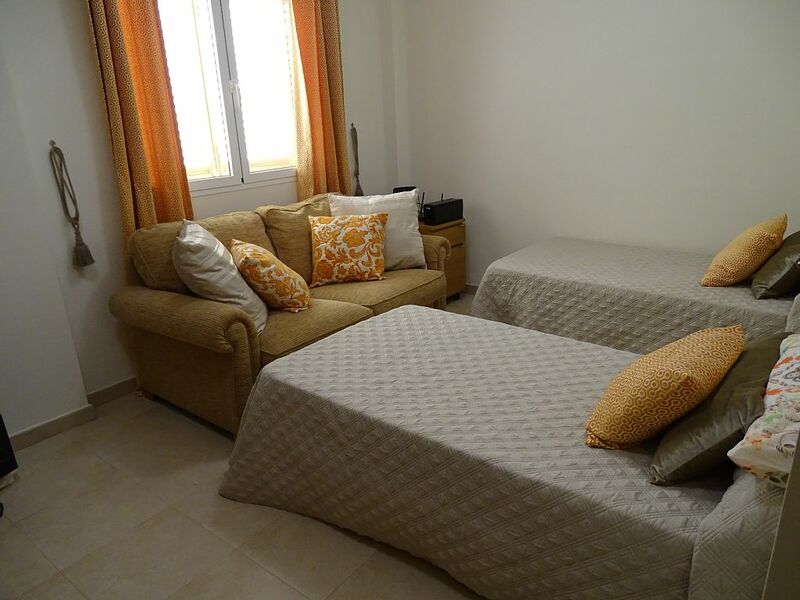 Studio in Isla Cristina, in beachfront. What brings you to Isla Cristina? Who's joining you?